There is enough science about the health benefits of nature to get the attention of the medical profession. Nature as medicine. Just don’t tell big Pharma. Imagine going to your doctor and, instead of a prescription for some named or generic pharmaceutical, you instead receive a prescription for a 30-minute walk in nature. This is not actually that far-fetched. Put down the Prozac and pick up your walking shoes. Paracelsus, the 16th-century German-Swiss physician, wrote: “The art of healing comes from nature, not from the physician.” He could not have imagined the advent of the Smartphone, nor a 24/7, digitally enhanced, Instagram-able world. Much has been written about the evils (and glories) of technology, but the resulting dissociation from our natural surroundings leaves us emotionally and physically worse off. We are bereft of nature. Our bodies—and our minds—need nature. And there is hard science to prove it. In fact, there is enough science about the health benefits of nature to get the attention of the medical profession. Nature as medicine. Just don’t tell big Pharma. One contributing factor to this is the shifting demographics—people are living in urban areas, often with little or no nature. In 1950, around 30 percent of the world’s population lived in urban areas. By 2018, that number was 55 percent, and, by 2050, it will be 68 percent. With this spread unevenly around the world (for example Northern America has 82 percent of its population living in urban areas already today! ), it is clear that more people are living in settings with little—and sometimes no—nature. Not only has this resulted in a decrease in experiencing the joys of nature, but it has also meant that the healing power of nature is not readily available for most people in the world. At his office in Washington, D.C., Dr. Robert Zarr, a pediatrician, writes prescriptions for parks. He pulls out a prescription pad and scribbles instructions—which park his obese, diabetic, anxious or depressed patient should visit, on which days, and for how long—just as though he were prescribing medication. At the Global Wellness Summit (GWS) in Cesena, Italy, in 2018, we learned the impact of walking in nature from Dan Buettner, author of The Blue Zones, which examines the lifestyles of the world’s longest-lived people. And what Buettner found is that these people—who live to be over 100—have movement engineered into their daily lives. “Blue zones centenarians didn’t reach 100 by running marathons, pumping iron or joining a gym. Instead, they stayed fit by doing their own house work and yard work, by maintaining a garden year-round, and by walking places instead of taking a car. My team calculates that the longest-lived people are moving every 20 minutes or so, instead of the American way of sitting at a desk or TV all day and hoping to make it up with 30 minutes at the gym,” states Buettner. In October 2018, the National Health Service Shetland (Scotland) rolled out what has been billed as “nature prescriptions” to help treat a range of afflictions, including high blood pressure, anxiety and depression. The doctors and nurses have been urged to hand out pamphlets that describe the health benefits of being outdoors, along with specific outdoor activities for people to engage in throughout the year. Dr. Chloe Evans is a general practitioner on the island: “The benefits to patients are that it is free, easily accessible, allows increased connection with surroundings which hopefully leads to improved physical and mental health for individuals.” Her practice first piloted the initiative last year. And if nature prescriptions are already popping up globally, it’s only a matter of time before the medical profession adopts this approach in hospitals as well. The Westin Hotel group’s “RunWestin” programs are highly customized based on guest preferences and desired levels of activity, in conjunction with the hotel location, natural surroundings and more. The nature economy is booming. Hotels and spas are taking advantage of their often intrinsically beautiful locations to offer more outdoor programming, and marketing it to their guests more creatively. There is a real desire to connect guests to natural surroundings, and this presents an incredible opportunity for destinations around the world. Skylonda Lodge, billed as “a luxurious retreat destination deep in nature designed by wellness experts,” seeks to entice guests with programs built into the forests of Woodside, California. Many of their activities are held in redwood forests or, at least, with expansive views of the incredible landscape around them. In the Baja Peninsula’s Magdalena Bay, one can spend hours at a time on the water, whale-watching. This is an unparalleled opportunity to witness the annual migration of grey whales mating and birthing their young side by side with the occasional blue and humpback whales. Borgo Egnazia in Puglia, Italy, has as its tagline: “Nowhere Else.” This speaks to the unique, natural surroundings that offer visitors an opportunity to be immersed in the landscape of Itria Valley and the world-class olive groves. It is about being outdoors in every way along the Adriatic Sea. As experience in nature becomes another new luxury, hotels and spas are tapping into what makes their destination unique—and offering unique programming. 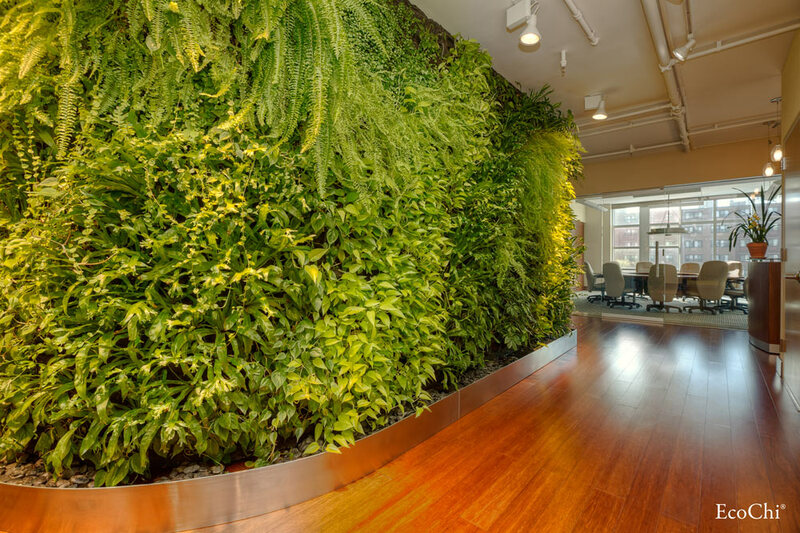 For those properties confined within cities, the natural beauty—and benefits—of the outdoors is being brought inside, showcasing local flora and fauna. 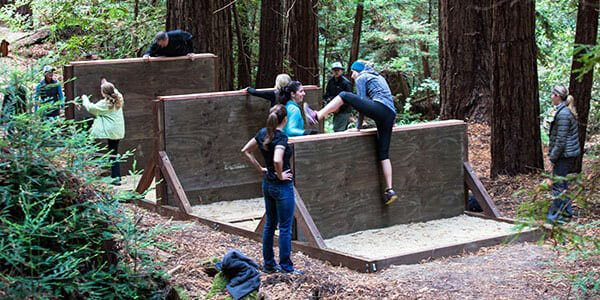 Skylonda Lodge entices guests with programs built into the forests of Woodside, California. Many of their activities are held in redwood forests or, at least, with expansive views of the incredible landscape around them. “Humans are more generous, cooperative, and forward-thinking when surrounded by nature,” said Tim Beatley, an architecture professor at the University of Virginia and executive director of the Biophilic Cities Project, a group that works with city collaborators to implement biophilic design across the world. 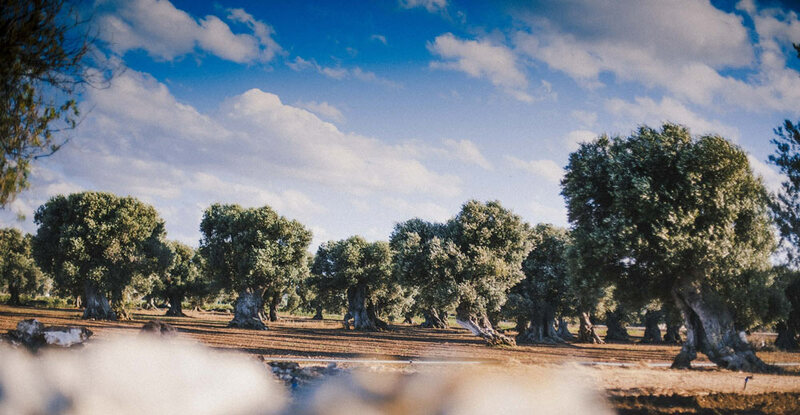 Borgo Egnazia offers visitors an opportunity to be immersed in the landscape of Itria Valley and the world-class olive groves. More and more companies are promoting the outdoor lifestyle. “Nature Smart” brands are educating consumers on the benefits of nature. It used to be that the person who served as the poster child for this idea was more of a modern-day hippie than a corporate CEO. They would literally shout from the mountaintops. All of that continues to change. REI (Recreational Equipment, Incorporated) is one of those brands that literally walks the talk. Founded in 1938, REI is an American retail and outdoor recreation services corporation. It is organized as a consumers’ cooperative. REI sells sporting goods, camping gear, travel equipment and clothing. REI has worked to awaken a lifelong love for the outdoors in their members. Today, nearly 80 years later, the co-op has grown from 23 climbing friends to a community of more than 17 million members. Each year, they close on Black Friday to ensure that their employees spend time outdoors, all part of their #OptOutside campaign. Even bigger, REI is partnering with the University of Washington to the tune of a $1 million donation to a new academic initiative called “Nature for Health.” The idea is to build a mountain of data surrounding the health benefits of living a life outside. EcoChi brings nature indoors with patterns, textures, colors, furnishings, arrangements and art. We know that activity, especially outdoor activity, is good for us, but what is most staggering is how good it is for our brains. According to a study by the European Society of Cardiology, those who take a brisk walk daily for at least 25 minutes could be adding at least three years to their lives. This simple practice can help repair DNA and reduce the risk of heart disease, diabetes, osteoporosis and breast or colon cancer. Professor Liisa Tyrväinen and her team at the Natural Resources Institute Finland recommend a minimum “nature dose” of five hours a month—several short visits a week—to ward off the blues. Brain benefits to walking in nature include a decrease in stress, increase in short-term memory, restoration of mental energy, increase in cognition, and increase in creativity. In 2009, a team of Dutch researchers found a lower incidence of 15 diseases, including depression, anxiety, heart disease, diabetes, asthma and migraines, in people who lived within about a half mile of green space. The global economist, Thierry Malleret, collaborating with his wife, Mary Anne, wrote the book, Ten Good Reasons to Go for a Walk. It offers its readers well-researched arguments enlivened by personal anecdotes to convey the vital message that walking can dramatically improve our health, both physical and mental, while also having the potential to make our world a better place. The Mallerets presented this project at GWS 2017 in Palm Beach, Florida. If the stats alone don’t have you reaching for your walking shoes, just consider the list of innovative thinkers that have spoken about their love of walking in nature. Former President Barack Obama was known for his walking meetings; Mark Zuckerberg, Founder of Facebook, takes many of his meetings outdoors. Aristotle was known for lecturing outdoors. Queen Elizabeth is a renowned nature lover, and Einstein enjoyed a good walk outside. Steve Jobs did, too. 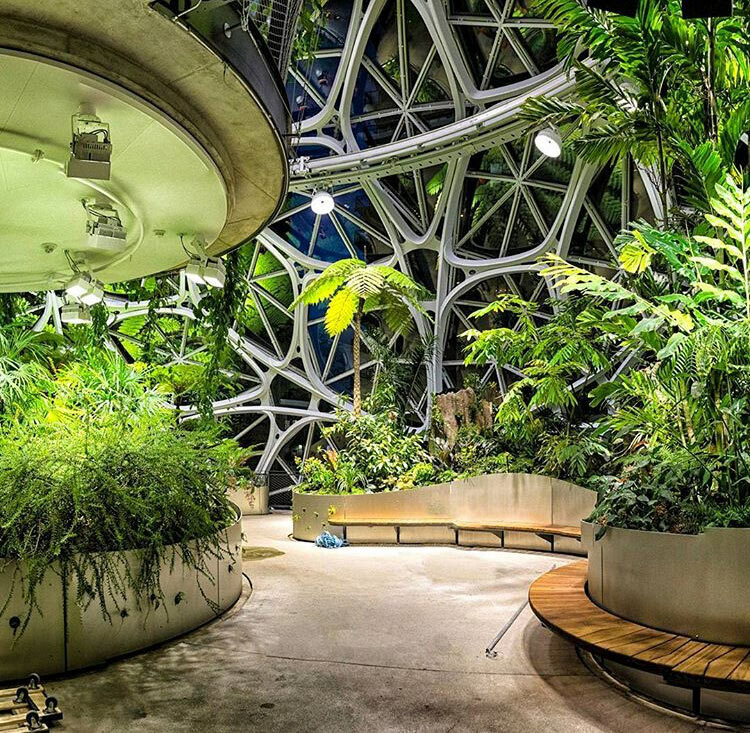 Amazon is bringing the outdoor work environment indoors by creating an environment where employees can collaborate and innovate together in a peaceful setting that is more like a tropical rainforest than a city. There are more exercise classes and indoor programming than ever before, but the big box gyms are not the only game in town. Indoor classes are often costly. Outdoor movement has a new term that is spreading globally: “green exercise.” Green exercise is a term that describes working out in the outdoors. Many find that green exercise lowers blood pressure, increases creativity, decreases depression, and increases blood flow. Biofit, an organic fitness company based in London, has invested in biophilic design and also teaches many classes outdoors. Most importantly, they educate others on why our bodies are meant to move outdoors. Some people practice yoga outdoors. The mindful practice of walking or hiking in nature is “yoga for the brain.” Look for more traditional fitness outlets turning their attention outdoors. Richard Louv coined the term “Nature-Deficit Disorder,” and he has written books such as Last Child in the Woods and The Nature Principle, which dive deep into what happens when we experience the lack of nature. This is especially critical when it comes to children and teens, as they are the generations that have been connected to technology from a young age; they are also the generations that have been truly disconnected from nature. The disconnect between nature and children has resulted in an increase in childhood obesity, attention deficiencies, early mental stressors and anxiety issues. The glow of our devices has been shown to throw off our natural circadian rhythm, especially impacting young people while their brains are still being fully developed. There are many things that can be done to counter Nature-Deficit Disorder, such as more school programs to get children outdoors even in the cold temperatures and local community gardens around schools, which allow children to understand how plants and food are grown. In Izumi, a city south of Osaka in Japan, a decrepit textile building was transformed into a kindergarten, with ample outdoor space for children to exercise and experience nature. In schools across America, access to recess or free time has been on the decline. In 2017, the Centers for Disease Control and Prevention reported on “Strategies on Recess in Schools” and identified only eight states that have policies requiring daily recess in schools. Dr. Nooshin Razani, at UCSF Benioff Children’s Hospital in Oakland, California, is one of several studying the emerging data on the health benefits of nature on children. She is training pediatricians to write prescriptions for young patients and their families to visit nearby parks. This “greening” of spaces has taken over even the smallest of apartments and allows people to feel like they are more connected to nature even if they are not. CNBC reports, these and other budding green thumbs are at the root of the DIY yard and gardening industry hitting $36.9 billion, according to the 2017 National Garden Survey, which found that of the six million Americans who got into gardening in 2016, five million were between the ages of 18–34. In addition to outdoor gardens, house plants are known to cleanse the air, remove pollutants, and some even promote sleep. The remarkable power of nature and its healing benefits may not only impact an individual’s health but also that of the planet. The more we need something, the more we tend to protect it. Imagine that your walk in the park might help preserve that very park for generations to come. The future of prescribing nature could take a turn toward DNA testing. When you get your results, you might find out that you are predisposed to be healthier if you live near the ocean. Or maybe you need the dryness of desert life? An app could direct you to your ideal nature refuge, no matter where you are in the world. Your insurance plan might offer you reduced premiums for adding nature to your list of wellness activities. Just as pop-up shops dot the shopping streets of every major city at the holidays, “pop-up parks” might begin to appear in urban areas that do not have natural resources. Imagine you can leave your office cubicle at lunch time and find a pop-up park in which to walk, sit and take in the sounds, scents and sights of nature. The world is unlikely to slow down anytime soon, so individuals must. The evidence is overwhelming: It’s time to do more than just put down your phone, tablet or laptop; it’s time to pick up your walking shoes. Head outdoors, find the balance that exists in nature, and let it offer you its intrinsic gifts. It doesn’t cost anything, but the benefits are priceless. And the businesses that understand and embrace this, and offer an authentic experience of nature, will see their labor bear fruit for years to come. And while you’re heading outside, take your children along. “Population Estimates: Year One through 2050 A.D.,” Ecology, ; “68% of the world population projected to live in urban areas by 2050, says UN,” News (blog), United Nations Department of Economic and Social Affairs, May 16, 2018.